Are you looking for a great preschool reading activity? Set aside a special time to read to your child daily. Having been read to is one of the most important predictors of whether or not a child will be successful at reading. Your primary goal is to help your children enjoy books. You want your child to associate reading with pleasure. Read picture books, chapter books, alphabet and number books, and nonfiction books that relate to your child's interests. Choose timeless tales over commercial fiction. Select stories that spark discussion, as well as multi-sensory, lift the flap or touchy feely books that invite touch. identifies some letters and beginning sounds. Take your children to the library regularly. I generally avoid busy story times, in favor of quiet afternoons where we have room to browse and relax. Let your children check out books and play with puzzles and puppets, if available. Teach them to use quiet voices and handle materials appropriately. If they need help finding a particular book, show them how to approach the librarian. Keep books and magazines on a low shelf where your children can easily access them. They will incur a bit of wear and tear, but at least they're being used and enjoyed. Read signs, labels, rules, and directions aloud to your child. Look up answers to your child's questions, and let your child see you read for pleasure. Vary your pace, tone of voice and facial expression to make the story exciting, even if it's your 100th time reading the same book. Repetition allows your child to predict what will happen in the story, giving him a sense of security and control. Encourage your child to retell stories, and memorize preschool finger plays and preschool nursery rhymes. Help your child interact with books by pointing to illustrated objects and filling in certain words in familiar stories. Be receptive to your child's questions, and don't forget to let your child "read" to you. When your child is ready, begin teaching letter sounds. Here are some ideas for a preschool alphabet activity. 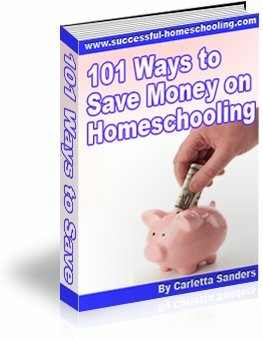 Here are some tips for choosing a homeschool reading curriculum. Usborne Picture Book Classics are beautifully illustrated, picture book versions of classic stories like The Gingerbread Man, The Town Mouse and the Country Mouse and The Emperor's New Clothes. Usborne Phonics Readers contain phonics-based text that is cleverly blended with a funny story. Ted and Friends combines 4 complete stories into a single book. Usborne's phonics readers can also be purchased individually. Usborne Dual Readers contain two reading levels. At the top of each page is a short sentence for beginning readers or young children with short attention spans. The bottom of each page contains more complex sentences that expand the story. The Complete Book of Farmyard Tales combines 20 stories into one volume, and comes with an entertaining audio CD that is one of my children's favorites! Follow this link to find out why I recommend Usborne books and learn about additional resources for your preschooler.